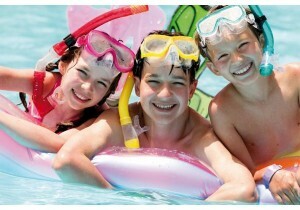 Fun for the kids and time out for the parents! 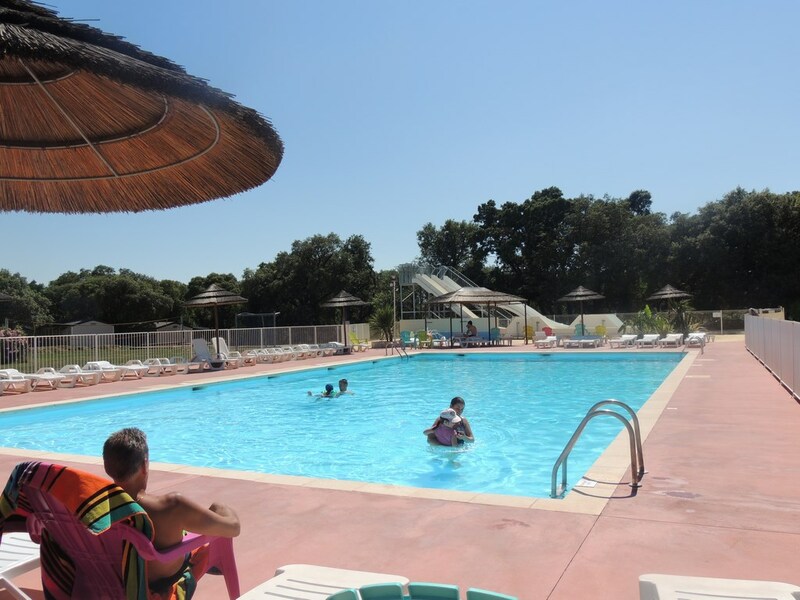 The campsite pool is open throughout the season, 7 days a week from 9 am to 7 pm. 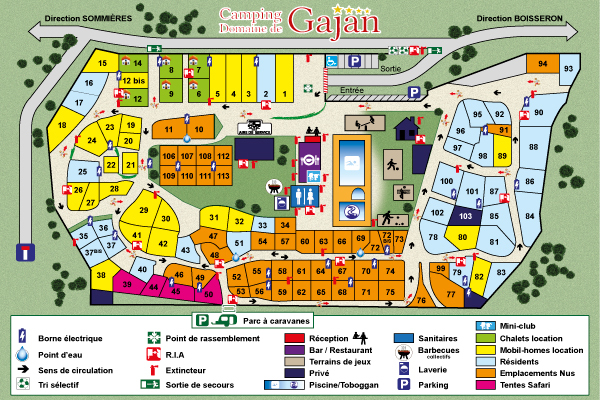 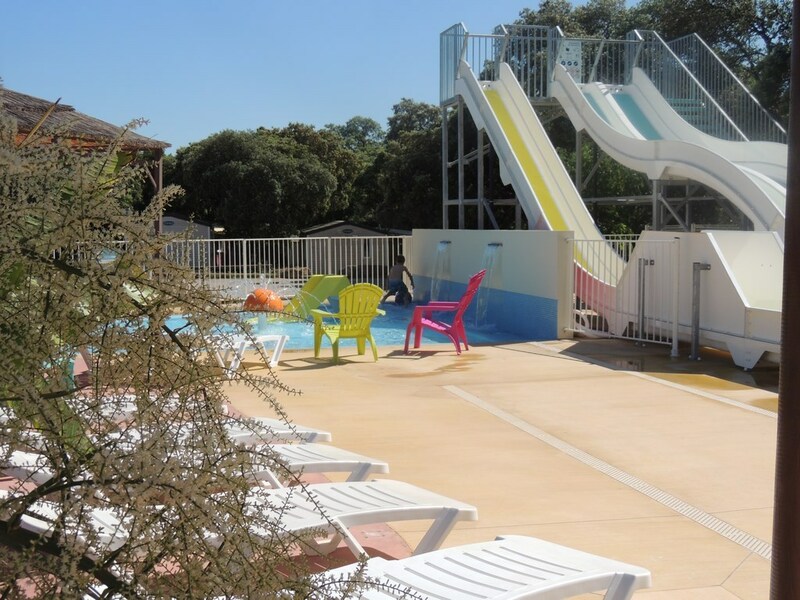 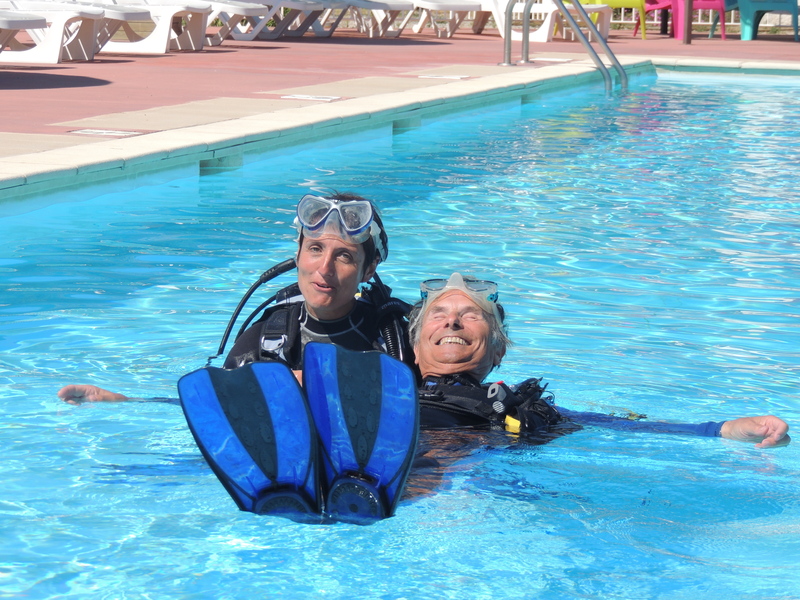 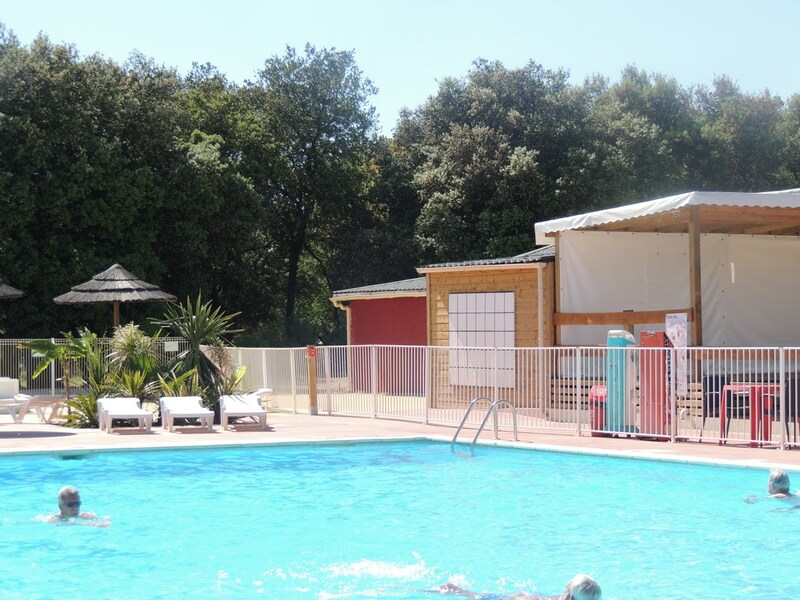 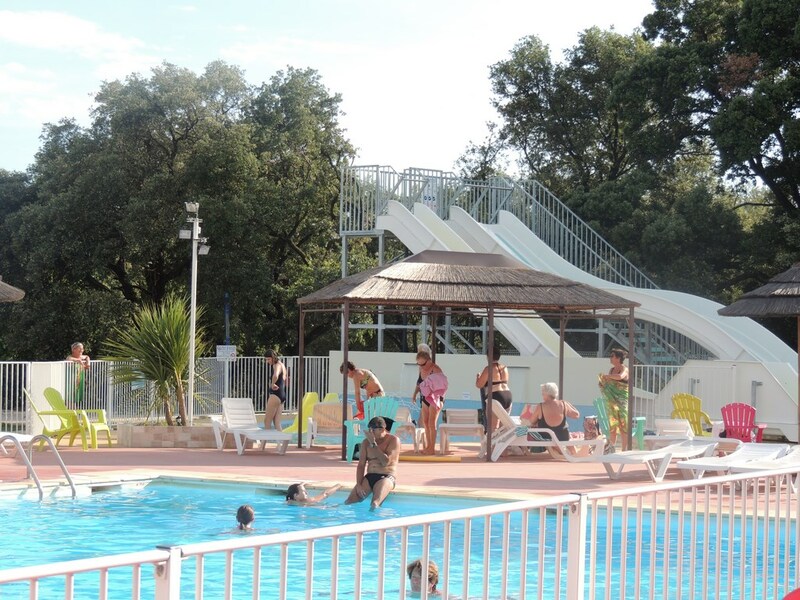 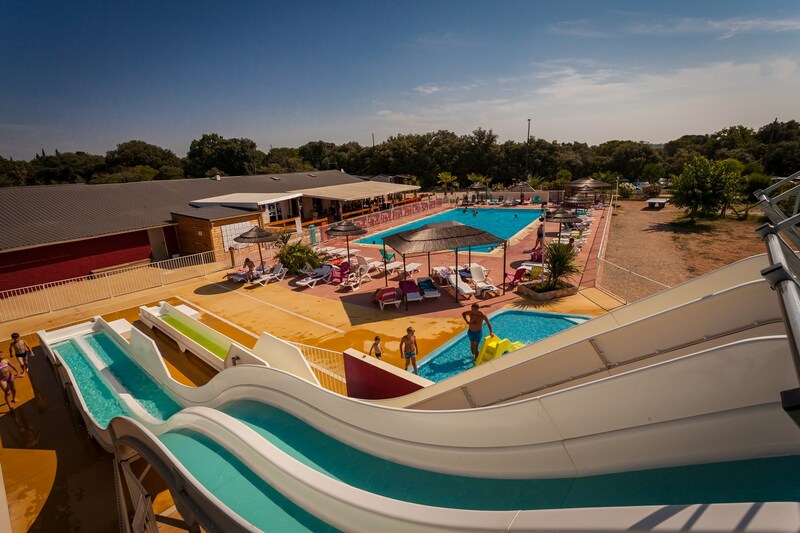 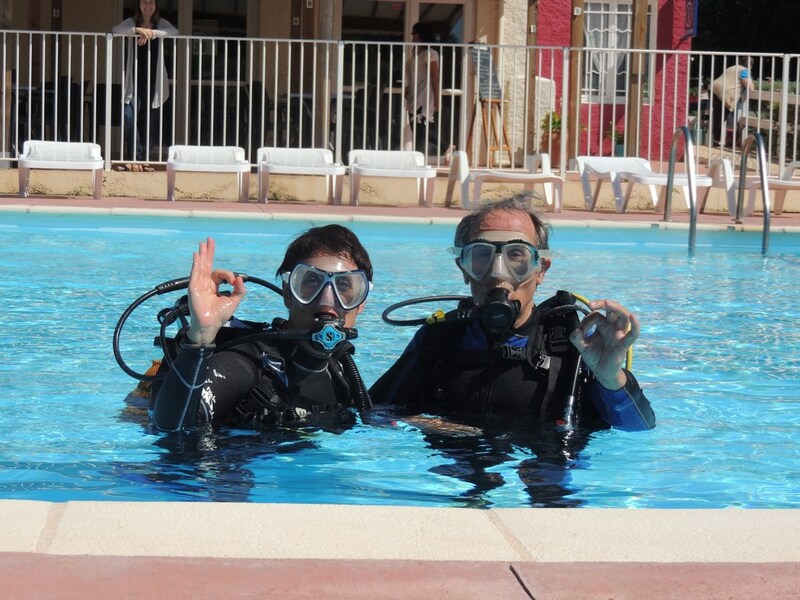 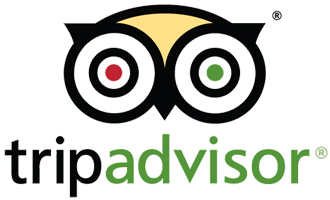 Choose Le Domaine de Gajan Flower 4-star campsite, and enjoy fun and relaxation at the campsite’s water sports centre in the Hérault. 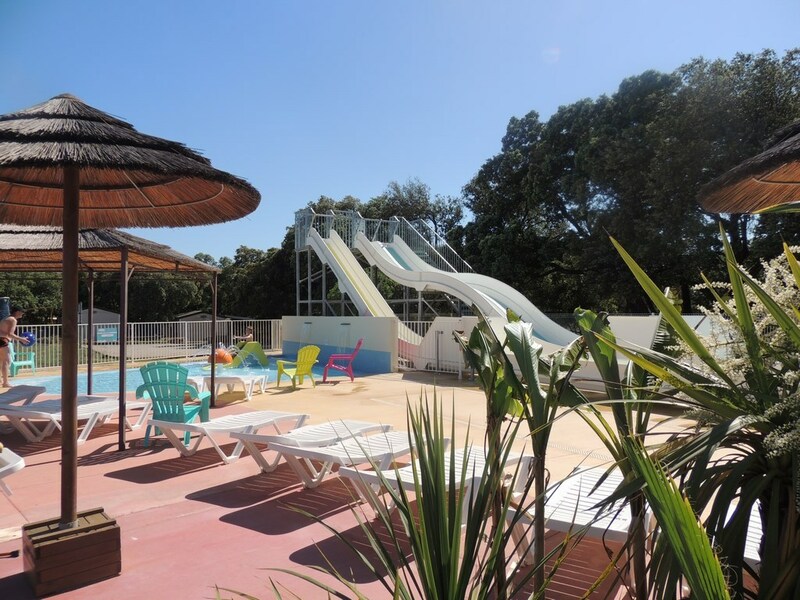 We offer 200 m² of water sports and leisure area where you can swim to your heart’s content with family or friends. 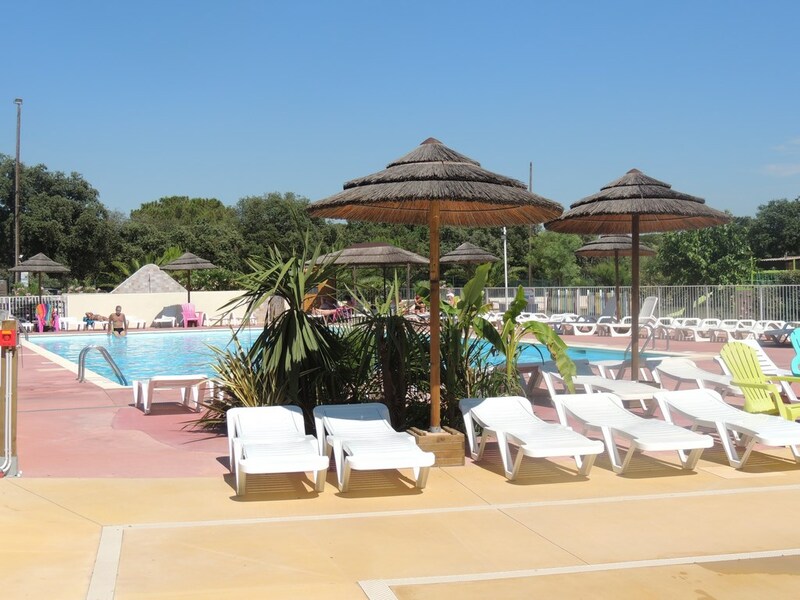 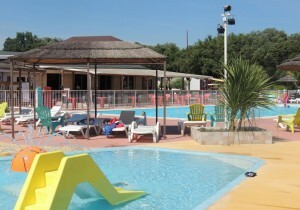 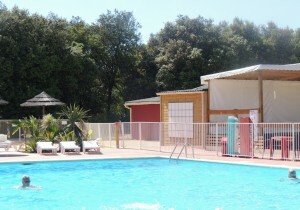 The campsite pool is heated to 28°Cfor your comfort and well-being. 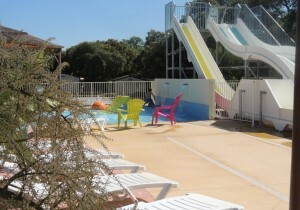 a solarium at the site of the pool where you can laze on deckchairs. 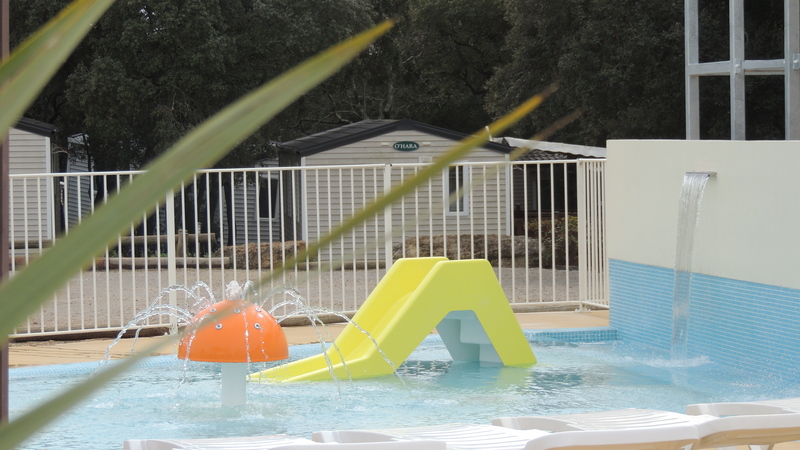 New for 2015: an outdoor swimming pool for the little ones. 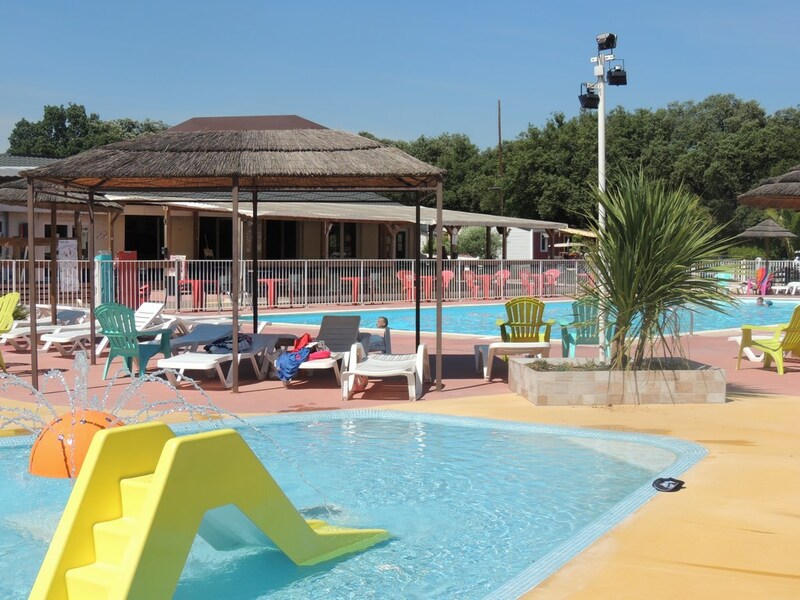 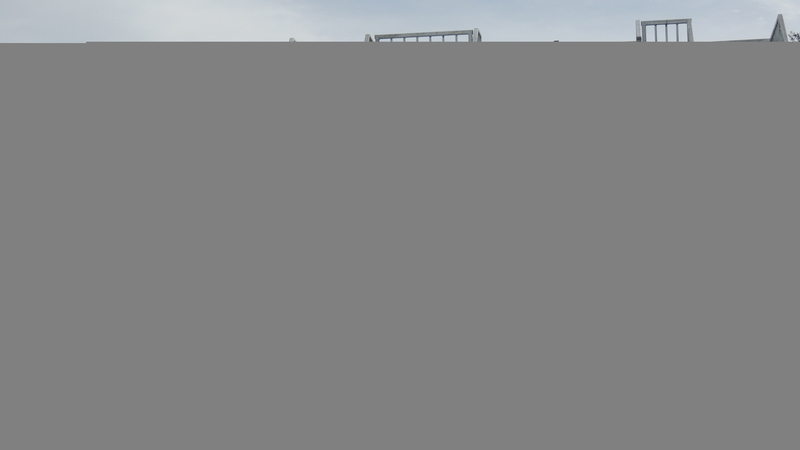 The campsite pool, without supervision, is the ideal place to laze around with your family. 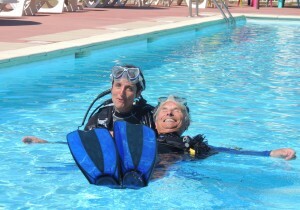 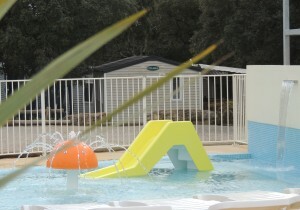 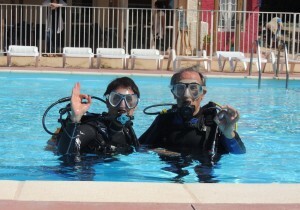 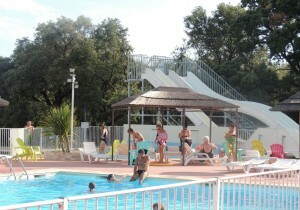 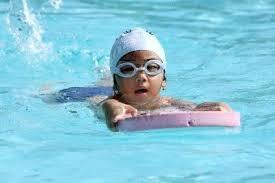 Children must be accompanied by an adult when at the campsite pool and remain your responsibility. 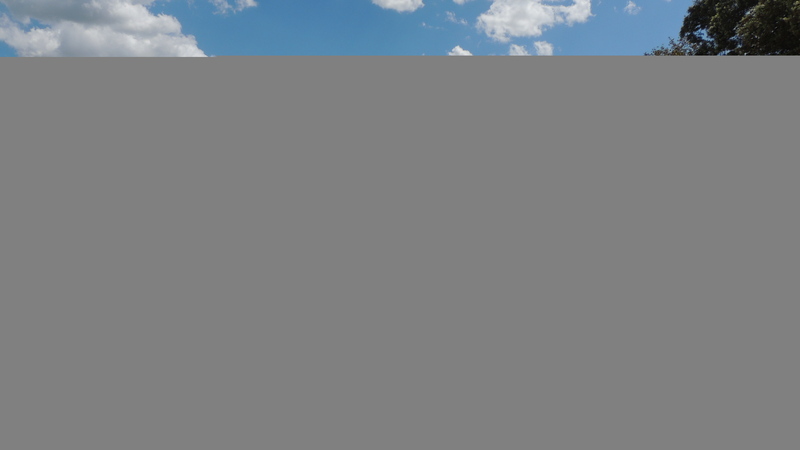 Enjoy all the benefits that water has to give in a natural environment! 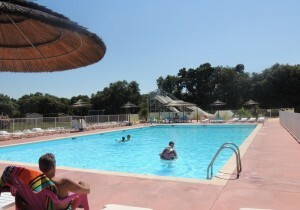 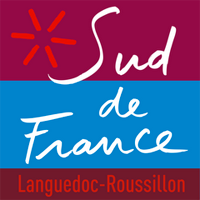 At Le Domaine de Gajan, you can swim in the river, less than 3 kms from the campsite. 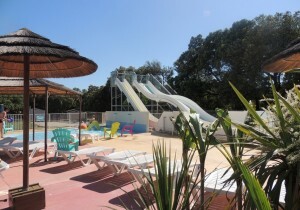 And sea lovers can go and laze on beaches less than 30 kms from the campsite!